Ok, fair warning before we proceed — the photos we’re about to share may or may not be real. We could either have some definitive proof of what the dimensions and appearance of the iPhone 5 will be or we’ve found photos taken by someone who had a lot of free time. “Exclusive photos of an iPhone 5 engineering sample straight from a factory in China show the new phone will be slightly taller, slightly thinner and about the same width. 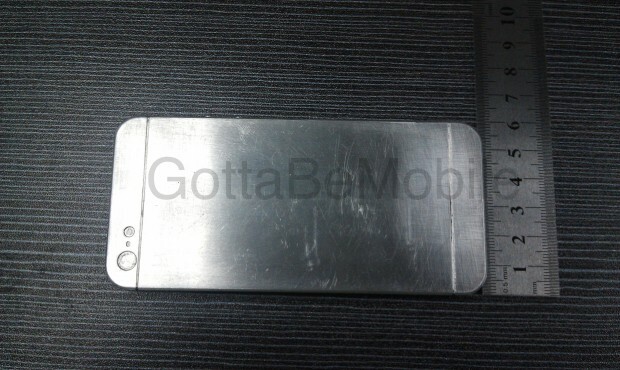 Looking at the pictures, it seems like the iPhone 5 will follow the same design elements used for the iPhone 4. The sample does seem to confirm that the iPhone 5 will have “taller dimensions” and a smaller bezel. 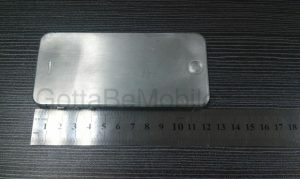 According to the leak, the dimensions for the test sample suggest that the iPhone 5 will be 120mm tall versus the iPhone 4’s 115.2mm. It’s width will remain relatively the same at 58.6mm. It looks like Apple has ultimately decided not to follow the path that Android phones have been taking recently and will still be tiny compared to flagship Android phones such as the Samsung Galaxy SIII. Can’t wait for the iPhone 5? Are you happy with the design choices Apple has been making? Discuss in the comments below.